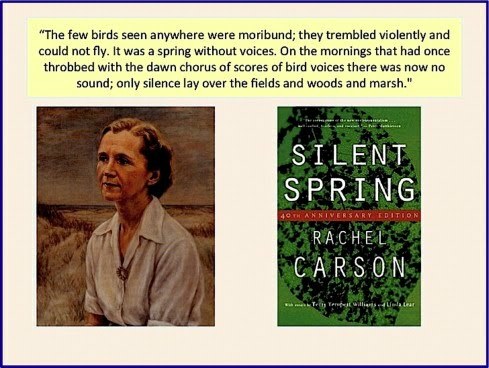 Today is the fiftieth anniversary of Rachel Carson's, Silent Spring. The book, a warning on chemical pesticides, is credited with being the impetus for the modern environmental movement. Due to its impact on future legislation, the book was included in the the Library of Congress list of Books That Shaped America.